Withdrawal reflex. 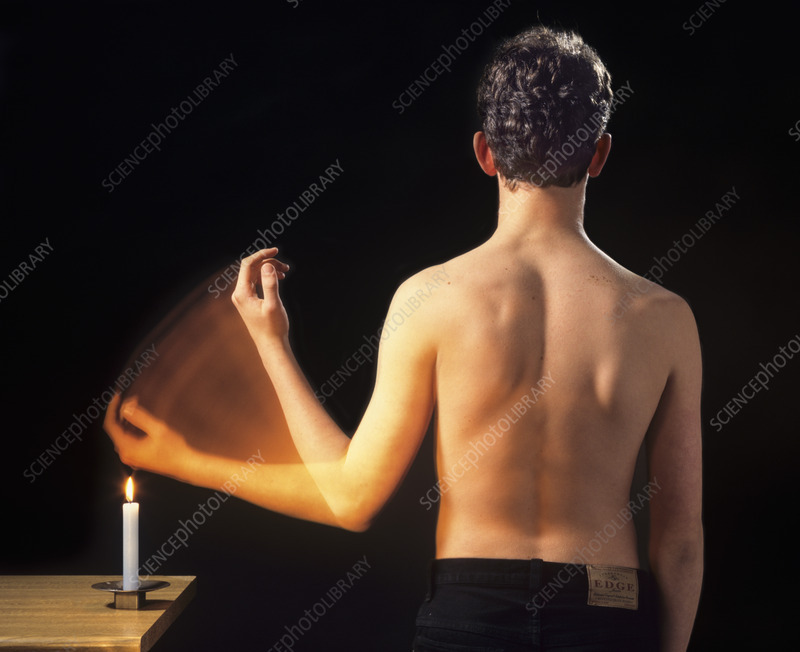 Young man moving his hand away from a lit candle. This type of reflex is known as a withdrawal reflex, as part of the body is being withdrawn from a damaging stimulus. As the candle heats the skin on the hand pain receptors in the skin are activated. They pass a signal along a sensory neurone to the spinal cord, which activates a motor neurone. The motor neurone sends a signal to the muscles in the arm to contract, which moves the hand away from the candle. As this reflex arc does not involve the brain the reaction time is very quick.